We provided support to the communications work for this important conference which offered new insights into why women are on the move, their relationships with home communities, and gendered occupations. 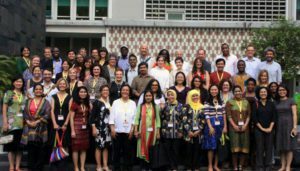 It was held in Singapore at the Asia Research Institute and organised by the Migrating out of Poverty Research Programme Consortium. We managed the communications team in the run up to the event, helped with branding, documented the meeting (in a report, on social media, and in a film).